A COACH has paid tribute to an Accrington Stanley youth footballer who died suddenly on Tuesday. Jordan Moseley was destined for a career as a top pro according to former mangers before his unexpected death. Wayne Hurst, who managed the 15-year-old when he played for Chadderton Park, told the MEN: “Jordan came to me as an eight year old. “He knew from an early age he wanted to make it as a footballer, and his dad always wanted him to make it. "It was clear he was something special on the pitch, and his desire is what got him noticed by others." Accrington Academy manager, Paul Lodge, described him as a ‘great athlete’ who the club were watching ‘for the future’. He added the news had come as a ‘huge shock’ to the players and staff, and counselling was being made available. Former Manchester City player Joey Barton led the tributes calling it "heartbreaking news". The under-16s academy team star died on Tuesday night but no details about the circumstances surrounding his death have been revealed. 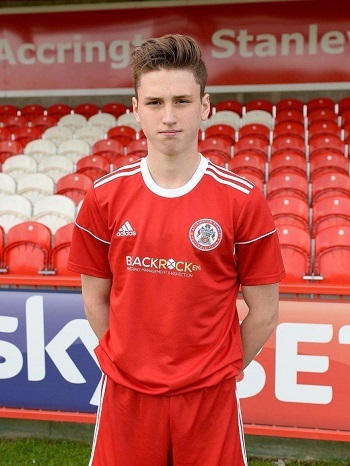 A statement released on the club website said: “Accrington Stanley are shocked and saddened to hear of the sudden death of Academy player Jordan Moseley last night. “The thoughts and condolences of everyone at Accrington Stanley go out to all of his family and friends at this difficult time. “The English Football League and League Football Education will provide any necessary support to anyone affected by this tragedy. “We ask that everyone shows respect to the family at this difficult time.